This past week marked a turning point in the nation’s political history. It was Atiku and all the news around his much-anticipated victory at the national convention of the Peoples Democratic Party (PDP) which ended on Sunday in Port Harcourt. It is also the week that the governing All Progressives Congress (APC) affirmed President Muhammadu Buhari as its candidate for the 2019 presidential election. Atiku’s victory is the trending story on the internet since Sunday. His landslide victory has got everyone talking. The focus of this piece is therefore on why he is Nigeria’s next president. It is no longer news that President Muhammadu Buhari’s approval rating has taken a plunge in the last three years that he has been in office, which informs the belief by political pundits that a run against the president in 2019 posses no political risk. Indeed NOI Polls, the No 1 country-specific polling services for Nigeria has returned a damning verdict on President Buhari’s stewardship, with the results of its poll showing that over the last three years the President’s job performance rating has taken a downward turn for the worse, plummeting from his highest rating of 78 percent and 80 percent recorded in September and October 2015, to 37 percent recorded in August 2016 and more recently 38 percent and 39 percent in the months of February and April 2018 respectively. In more specific terms, the average approval rating of the president in 2018 stands below average at 39.6 percent; with his latest rating of May 2018 at 41 percent. He did poorly in all areas of assessment. 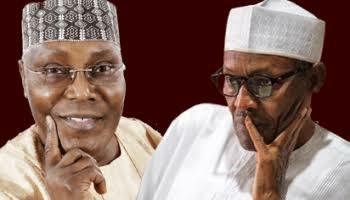 So if 2018 holds the truth for 2019, a well-grounded candidate like former Vice President Atiku can confront the president with the possibility of an excellent electoral show. There is no gainsaying the fact that Atiku Abubakar has been the most prepared Nigerian to steer the ship of state in the last decade. However, he hasn’t been able to actualise his ambition because of the disposition of some detractors who feel threatened by the rich credentials that he brings to the table. But this is understandable because politics taint noble people. So it is with Atiku. After impacting our national life for four solid decades, his impeccable record speaks volume about his public spiritedness and his support for worthy causes. At an age when many still prattled and sought relevance, Atiku bestrode Nigeria like a quintessential colossus, dishing out goodwill, service, and altruism. These are undeniable. From his days as a top Customs Man, through his attempt to fly the flag of the defunct Social Democratic Party (SDP), Atiku has gone through the drudgery of grassroots politics to etch his name as Governor-Elect of Adamawa State in 1999. His crowning glory is as Vice President of the Federal Republic of Nigeria between 1999 and 2007. The question remains if he was not good, how has he been able to stamp a seal of excellence everywhere he went all these years? There is no lying that Atiku’s role as Vice President under President Olusegun Obasanjo has become a reference point on how deputies can be loyal yet effective. Except for cynics, Atiku’s intellect and contributions to the current debate for restructuring and fiscal federalism are incontrovertible. Furthermore, governance is not about making pretence to integrity or about some shadowy fight against graft. It has little to do with age. It has more to do with competence, sensitivity, and responsiveness to the plights of the governed. In and out of public offices, the Wazirin Adamawa exemplifies excellence. His mission, as contained in his acceptance speech in Port Harcourt has a huge trunk to do with making Nigeria a better place for all. The emergence of Atiku as the presidential candidate of the People’s Democratic Party (PDP) was no happenstance. It is consistent with the resolve of members of the party to raise the bar in public service and put Nigeria back on the part of sustainable growth and development. About two years after his tough lecture on the state of the nation, tongues are still wagging. Many Nigerians believe that his standpoint on the vexed issues on restructuring and fiscal federalism is a timely wake-up call, and will form a major part of the issues that will shape campaigns for the nation ’s most coveted political position in 2019. Being that a man of Atiku’s standing was the one canvassing for ‘resource control’ made a lot of difference within the context of power alignments. He has consistently argued that Nigeria as currently constituted as an entity is rooted in corruption, impunity, and injustice and thus must be reconstituted. According to him, political and civic leaders from across the country must come together, discuss, negotiate and make the necessary compromises and sacrifices needed to restructure our federation to make the nation a stronger, more united, productive, and competitive country. He contends that there is a flaw in the country’s constitution which was why there is a recurring cry of marginalization from every section of the country. Atiku believes that no part of Nigeria can claim correctly that its people are better served by the current structure of our federation. He has since challenged those who against restructuring the country’s federal system as it currently stands, to show an example of countries that are functioning well with a structure such as Nigeria. Whatever one’s arguments are, the restructuring will shape the way Nigerians will vote during Nigeria’s next presidential election. Atiku Abubakar’s blueprint for Nigeria is by far his most potent weapon. The rich manifesto addresses all the challenges currently confronting the country. From defence and security, through job creation, education and infrastructure to poverty alleviation and power, no document from any presidential candidate in the history of Nigeria come close to Atiku’s manifesto regarding concept, content, and creativity. To convince Nigerians he has the vision and the preparation to change the nearly hopeless situation and offer a better deal, Atiku has articulated an ambitious manifesto, arguably one of the most elaborate in Nigeria’s political history. The same edge is seen on the social media where the Wazirin Adamawa is a household name. The import of this is that VP Atiku is by far more popular and more acceptable to the people than any politician seeking to be president in 2019. Nigerians have a short fuse when it comes to showing understanding with leaders, especially when such leaders are not delivering on electoral promises. I recall how in 2011 former President Goodluck Jonathan was the darling of Nigerians across the ethnic and religious divide. He won the 2011 elections with several millions of votes ahead of General Muhammadu Buhari and his running mate, Pastor Tunde Bakare. By 2015, this same Jonathan lost to Buhari and left the scene with so much hatred from the voting public. Buhari who had been rejected at the polls three consecutive times was elected. A Buhari who had been roundly disdained as a bigot, a religious extremist, and an unsellable candidate became the toast of Nigerian voters. This time round, history is about to repeat itself with an Atiku victory at the general election in February.